Peoria, Ill. — In October, representatives from Caterpillar, Finning Canada and Teck Resources gathered in East Peoria, Ill., to celebrate the milestone of the 40,000th Cat large dozer rolling off the production line. Core to Caterpillar’s global identity, the current Cat large dozer line includes the D9, D10 and D11 models. Denise Johnson, Caterpillar group president responsible for Resource Industries, handed the keys of the 40,000th large dozer to Louis DeLuca, Teck director of supply management, during the ceremony held Oct. 25. For more than 10 years, Teck has been one of the top customers in the world for Cat large dozers. The 40,000th large dozer, a 225,000-lb (102 058 kg) D11T, will operate in the Elk Valley near Sparwood, B.C., where the company produces steelmaking coal at five mines. 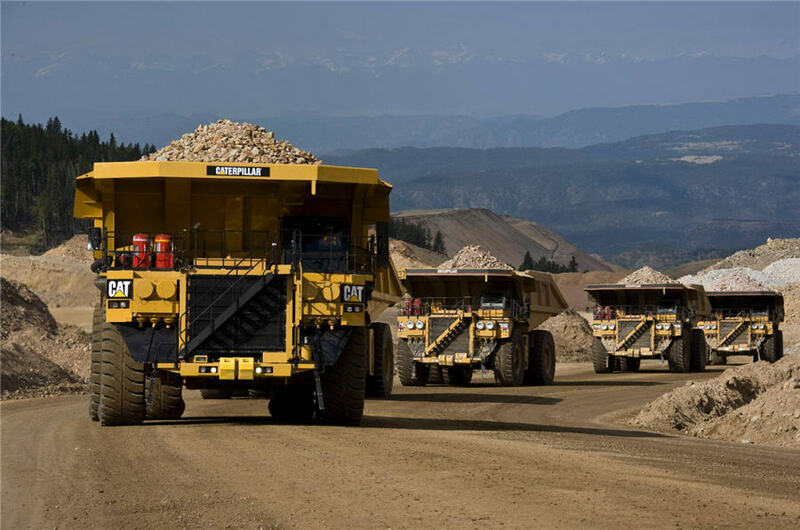 The world’s second-largest seaborne exporter of steelmaking coal, Teck currently operates a fleet of Cat dozers, each of these high-production machines logging up to 7,000 operating hours each year in the mines. Teck’s newest D11T will be used for production dozing, dump area support, mining shovel support and haul road development. The milestone D11T is equipped with a Cat C32 engine, producing 850 horsepower (634 kW) and capable of moving up to 900 loose cubic meters of material per hour. Even in Teck Coal’s demanding, high-production application, the efficient powertrain ensures the material is moved at a lower cost per ton. Its rugged mainframe is designed for multiple rebuilds and lowest total cost of ownership. A host of standard and optional Cat technologies, including VIMS 3G, Automated Blade Assist, Enhanced Auto Shift and Advisor Monitoring System, increases operating efficiencies, advances safe operation and lowers costs. For more information about Cat dozers, visit: www.cat.com.